© Retrieved June 4, 2017 from https://freight.uber.com. Supply chain management (SCM) relies on, at its core, people talking to people. Working with vendors, coordinating shipments and carriers, buying stock, fulfilling orders, maintaining inventory levels, forecasting what end users may be looking to purchase in the future – every step of the way involves communication between one party and another. Typically, the person(s) heading the management of a particular company’s supply chain, in this case the “focus company”, are tasked with making sure this flow of goods and services moves efficiently through the chain within (under) budget. However, as anyone who has been a function in any stage of this flow knows, things can and do go wrong. Hikes in the cost or shortage of raw materials, weather and traffic disruptions, delayed production schedules, over and under forecasting demand – all of these can spell disaster for any time-sensitive endeavour. One area of SCM that tends to fall victim to several unforeseen variables is Transportation of Goods. Inclement weather, the need for full truckloads, lack of available trucks, limited schedules for certain types of trucks, limited schedules for cross-country hauls all have the same end results: they cost companies money. Take for example something as simple as strawberry jam. The production manager at the manufacturing plant likely buys all of the necessary ingredients from different suppliers and distributors. Strawberries, sugar, pectin – all of these need to arrive to the plant on time for when the production is scheduled to run. If any one ingredient is late, the entire production run has to be shutdown until the missing ingredient arrives. The problem is, when a production run for strawberry jam is reliant on a timely arrival of say, pectin, all the other ingredients have usually been thawed and prepared for production. If that pectin doesn’t arrive as scheduled, this not only pushes out other products in the queue, but can cause the manufacturer to lose out on tens of thousands of dollars when the ingredients are no longer usable and they are forced to purchase even more. After the incredibly successful introduction of UberX – the taxi hailing app service that connects people to drivers, Uber has developed several successful spin offs including a luxury limousine service (UberBlack) and a food delivery service (UberEats). Using an app to determine real-time demand allows them to link drivers and passengers in the most efficient way possible. Not having a fleet on the road when demand is low means drivers are not wasting time on fruitless efforts, and being able to call upon drivers when demand is high, especially in a particular area, allows them to meet the demand in an efficient and timely way. Now they are applying this system to moving freight. When it comes to social media, the first thought isn’t necessarily about using it in SCM. But more and more, businesses are learning to leverage this resource in a variety of ways. 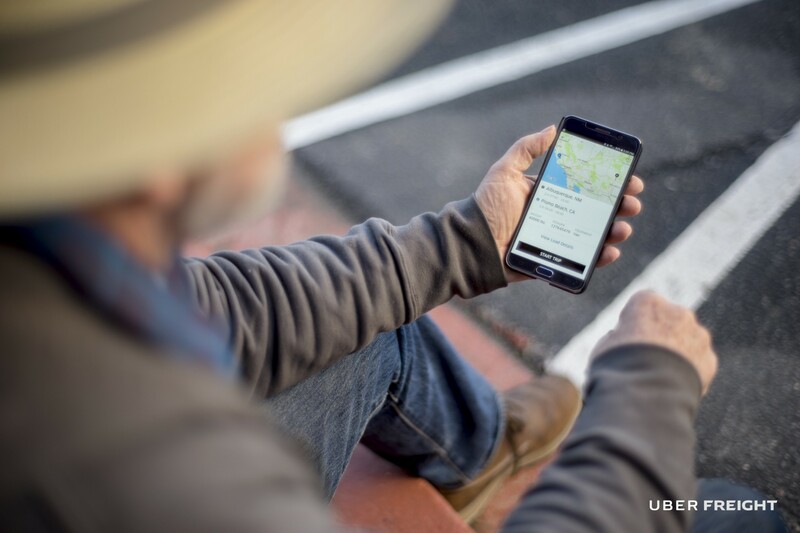 With Uber Freight, truckers and shippers will be able to join the Uber network to find and book loads within seconds. Often times, smaller trucking fleets will only run certain types of trucks on certain days, which is obviously not a solution when a customer needs, for example, a refrigerated product for production yesterday. Uber Freight seeks to solve this and a host of other logistical complexities involved with time-sensitive freight management. Currently Uber Freight will focus its attentions on the two most common freight types in the U.S., dry van and refrigerated (reefer), however it has plans to expand into the other types such as flatbed, LTL, and bulk in the future. It is still unknown how this will play out on a nationwide scale, but it seems that Uber Freight will solve or at least alleviate some of the very common problems shippers and carriers encounter on a daily basis. And if it includes some of the standard UberX features like being able to rate carriers, send feedback to your driver, share the real-time location of the shipment with the recipient, Uber Freight has the potential to really be an example of how social media can raise the standard of a significant portion of the Supply Chain Management process. The heart of SCM in any enterprise is relationships – people connecting and communicating with people to support each other in achieving common goals. Using social media is the perfect way to bridge gaps in timely and efficient ways. However given the sheer enormity, diversity and complexity of industries, there is no one-size-fits-all solution. Instead, a better approach is taking it step by step, incorporating social media solutions to solve one or two problems at a time, while thinking outside the box. Uber Freight saw a specific area that it could ameliorate with an innovative solution, so be on the lookout for innovative solutions of your own. Be sure to remember though that at the end of the day, people talking to people has always been and will always be the best way to solve Supply Chain Management issues.